General von Falkenhayn, Prussian Minister of War and German Army Chief of Staff until August 1916. 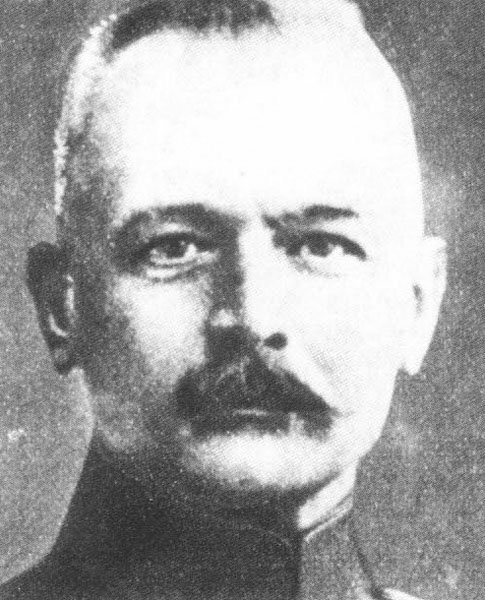 He commanded in 1916-1917 an army in the conquest of Rumania. Rumania: Falkenhayn signs 3-day armistice allowing Bucharest‘s evacuation (arsenal and forts blown up on December 4). Serbia: Serb Drina Division captures Gruniste east of Crna, then Staravina on December 4. Eastern Atlantic: German submarine U 38 shells Funchal, Madeira, sinking 3 ships (U 156 repeats it on December 12, 1917) as French sloop Surprise off port.